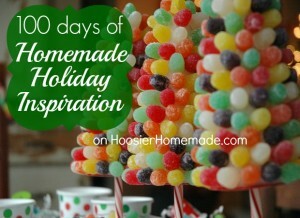 Welcome to Day 1 of the 100 Days of Homemade Holiday Inspiration! This is our third year and back my popular demand. Each day we are inspiring you with recipes, decorating ideas, crafts, homemade gift ideas and much more! We are starting the series off with the centerpiece for all your holiday decor. The Christmas tree sets the tone and mood of the room each holiday season. 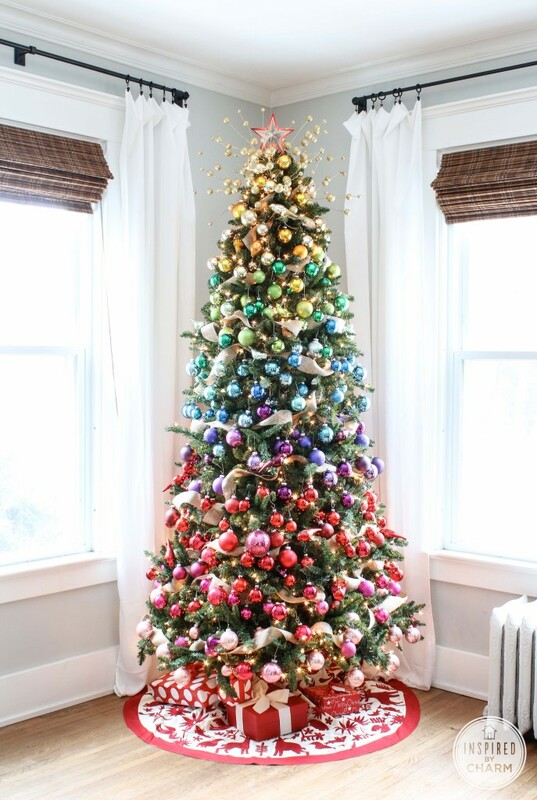 This year, try something bright and cheerful with this gorgeous colorful Christmas tree. It will wow everyone who sees it this holiday season! Hit those garage sales, flea markets and thrift stores now so you can stock up on glass ornaments. I swear I see them all the time when I’m out shopping. I never realized they could be so beautiful.